Azealia Banks has been teasing the release of Fantasea II: The Second Wave with singles like "Anna Wintour" and "Treasure Island," but it seems she's having a little trouble tracking down collaborators to complete the album (which is apparently not cancelled anymore). 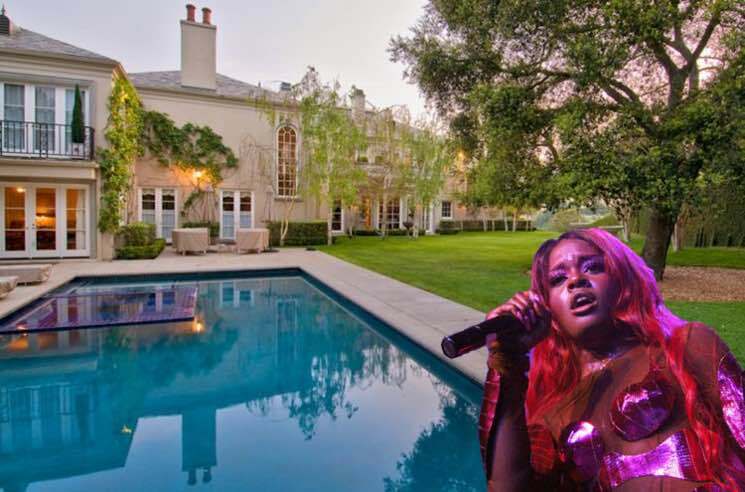 The rapper revealed via Instagram story over the weekend that she'd been holed up at Elon Musk's house waiting for producer (and Musk's girlfriend) Grimes to turn up and work with her. "Literally been sitting at Elon Musk's house alone for days waiting for Grimes to show up and start these sessions," Banks wrote. "I have no idea when she is coming back." If that wasn't strange enough, she added, "I'm going to wait one more day then I'm going to go home." Prior to her arrival at Musk's house, Banks had hinted at collaborating with Grimes on Twitter. There's still no official release date in place for Fantasea II, though Banks has already suggested that her label is trying to delay it. l legit have my album ready to go. @eOneMusicUS is trying their hardest to hold on to me but they're expecting me to come into their office and chase them. Stay tuned for updates on the arrival of the record — and if Grimes is going to show up on it.